Bob is recognised for his relaxed, friendly and professional approach, attention to detail and his creative thinking. He is an accomplished host, with experience in planning and staging community and corporate events, not to mention royal visits and military parades, as well as presenting concerts, awards nights and other celebrations. 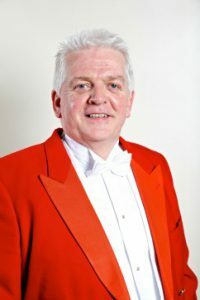 Bob welcomes the opportunity to use his experience, skills and words to help make your special event even more memorable – be it a wedding reception, family celebration, corporate gathering or charity fundraiser.